Because we care as much as you do…. The Harrogate Wedding Lounge was founded on a love of bridal fashion and a driven passion for delivering an exceptional personal experience, helping women to look beautiful and feel confident. We combine all the elements that todays modern bride is looking for from her bridal shopping experience. Here at The Harrogate Wedding Lounge we are a passionate, dedicated and fun team offering innovative and stylish collections and curating influential social media and digital inspiration. Not to mention our pièce de résistance, our world class in house sewing team. We work with coveted brand partners, suppliers and trade associations ensuring you feel looked after by the best in the industry and we are passionate about raising the bar in independent bridal retail by committing to bringing our brides innovative design, exceptional quality and an unforgettable end to end experience. Part of the Enzoani umbrella but standing as a collection of its own Blue by Enzoani as a collection is growing significantly. It offers brides the Enzoani fit and finish at an accessible price point and still full of plenty of WOW factor. Sottero and Midgley is part of the Maggie Sottero family. This collection turns up the heat with Luxe fabrics, opulent embellishments and unique detailing for the fashion forward bride. Beautiful laces and sensual silhouettes are out in full force. 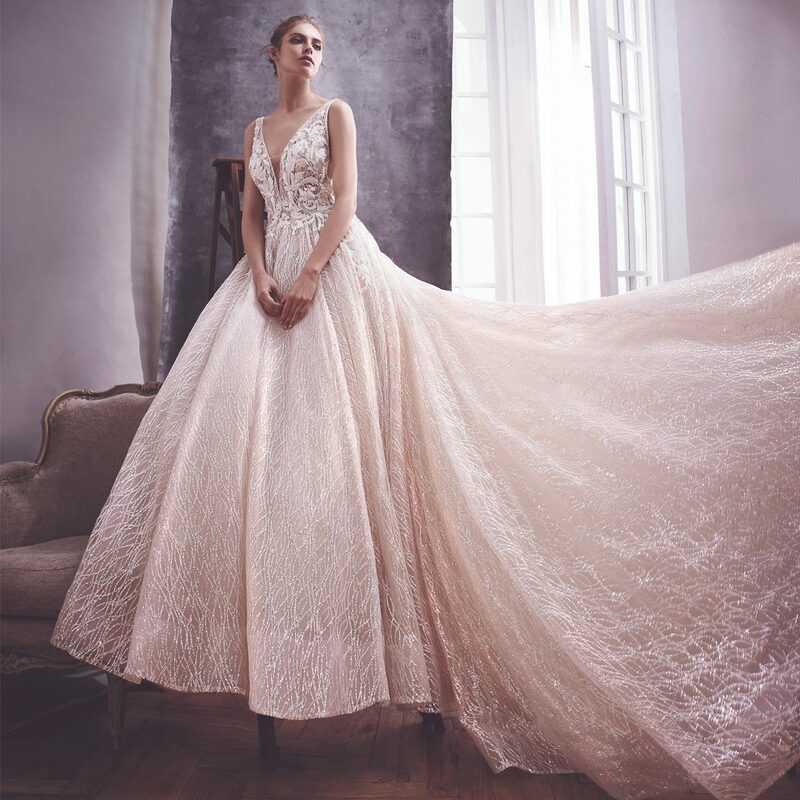 Maggie Sottero is among the most recognised bridal design houses in the world. Consistently regarded as an innovator in the industry, Maggie Sottero creates classic, feminine and romantic styles for todays bride. flowing fabrics sit alongside decadent beading and their CURVE collection includes a selection of carefully considered silhouettes for a fuller figure. Justin Alexander’s main collection exudes Old Hollywood style. Lines are clean, fabrics are crisp necklines are striking and silhouettes are beautifully cut. Justin continues to excite us season after season with a new take on his signature astetic. 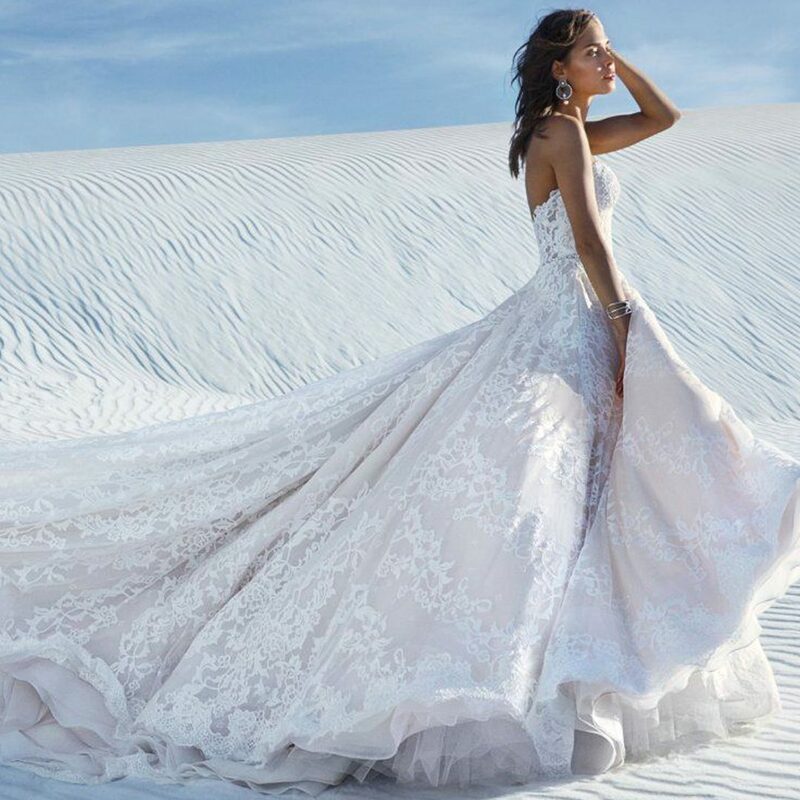 The Justin Alexander Signature Collection uses exclusive fabrics, exquisite detailing, and subtle suggestions of sparkle. the overall look is striking and definitely appeals to the modern bride wanting to have something that little bit different. A wow factor collection for sure.